You can now learn typing online without installing anything and you can pretty much learn from any computer that has an internet connection. The website keeps track of all your lessons and also tracks your typing speed and your problem areas. 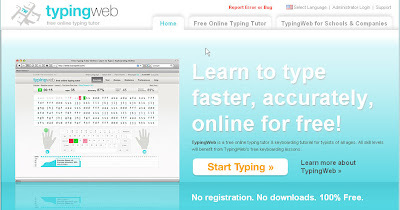 For all those that want to learn typing I think this website is a must visit website. The website is http://www.typingweb.com/.